Kalamkari sarees are so much in fashion these days. 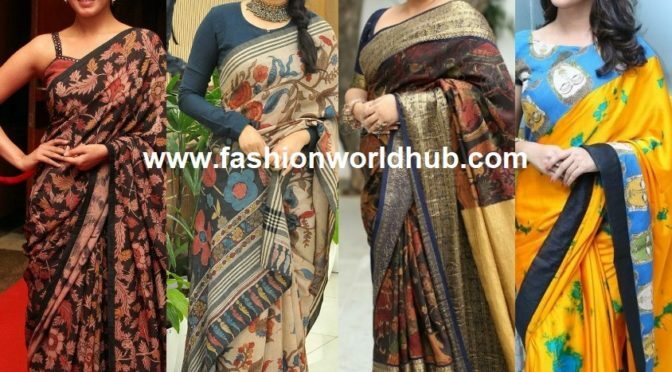 These prints are being used in almost all types of attires ranging from suits, shirts, sarees, blouses and even accessories like purses and shoes. 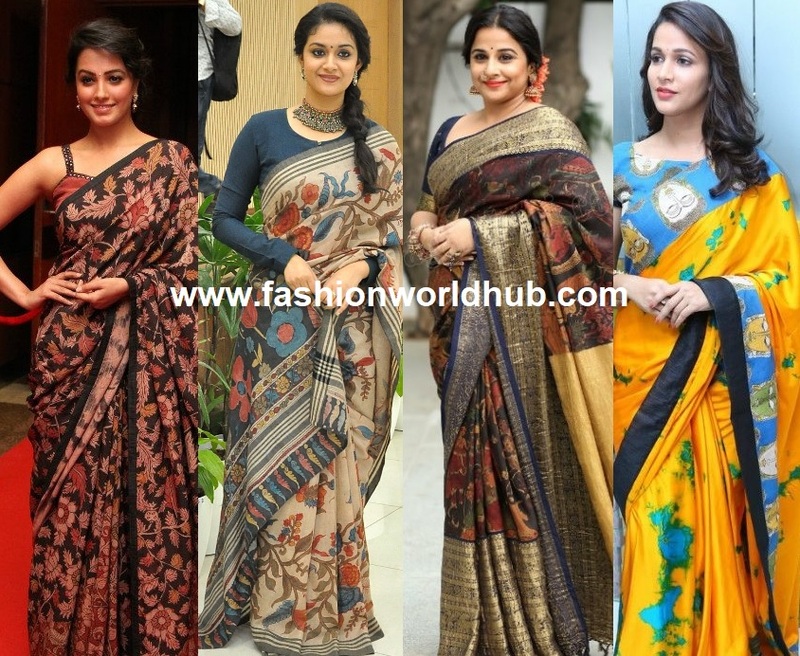 When it comes to Kalamkari this art was originated during the Mughal rule decades ago but when we first saw our favorite heroine Sridevi wearing a Kalamkari saree on an award function, now it came back into fashion after years. Thanks to our designers who regenerated this beautiful piece of art back into our lives and made it alive after years. Kalamkari is a piece of art now. It is so famous had a very small beginning in older days painters who were also called Chitrakars painted pictures of god, goddesses, temples, and epic stories on canvas using natural colors from the extract of trees. It was appreciated by the Mughal kings and reached its peak in the Mughal rule; where this piece of art was called Kalamkari. Today bulks of artists are working in villages to take this art to paramount heights in the fashion industry and the international market. Not only women even men are seen wearing Kalamkari scarfs over their dhoti-kurta on weddings and other events. 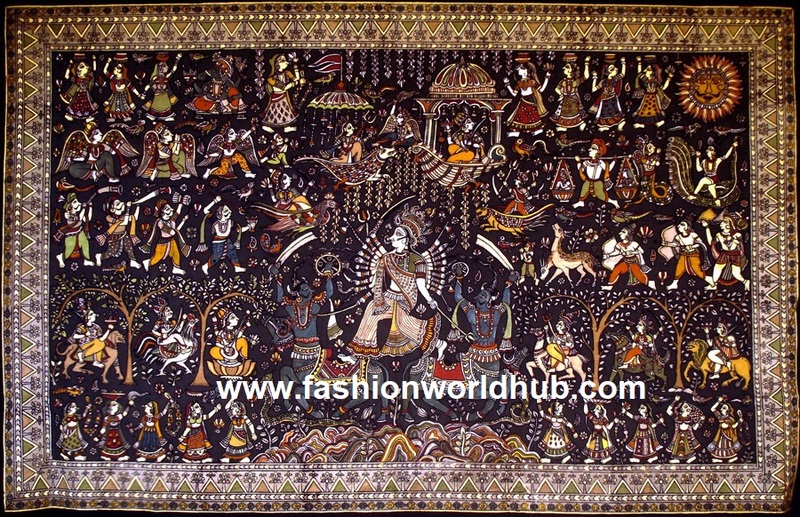 Andhra Pradesh was the land of Kalamkari work. This art was always known for its elegance and later when our famous designers like Sathya Sachi, Neeta Lulla, and Gaurang Shah added this beautiful piece of work on their dresses it took its runaway to the red carpet by our heroines. Generally, we are not aware of the latest fashion or trends, thanks to our celebs who update us on the latest upcoming trends on outfits and accessories. 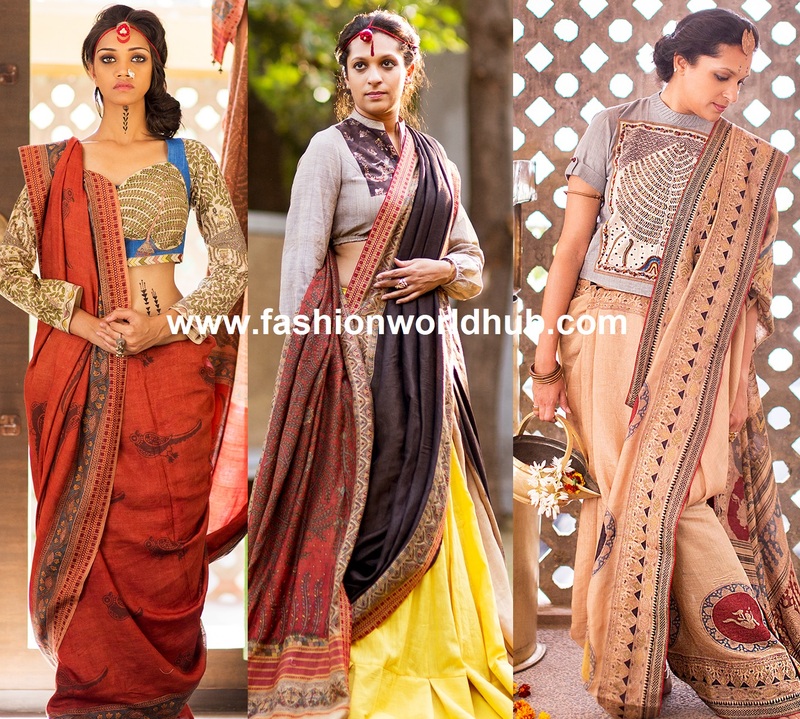 As we all know that Kalamkari is mostly done on cotton fabrics but nowadays it’s also done on silks to increase its elegance and these sarees are worn by not only our legends but even by the young talents like Sonam Kapoor, Kangana Ranaut, and Deepika Padukone. 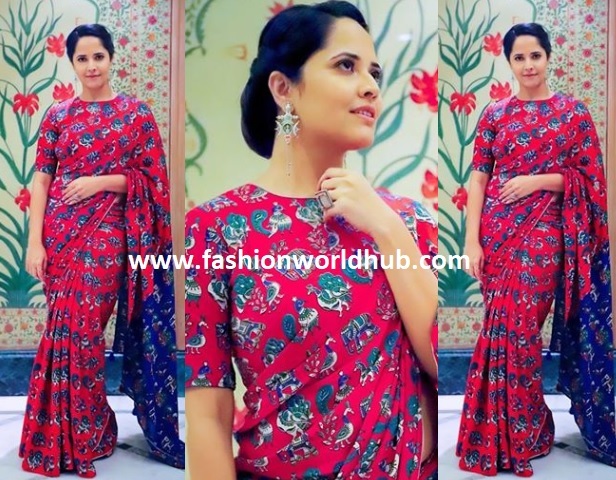 One should how to style in saree from Vidhya balan. Vidhya Balan, looked just perfect in the traditional Kalamkari saree with the complete Indian look to make people gaze at her. 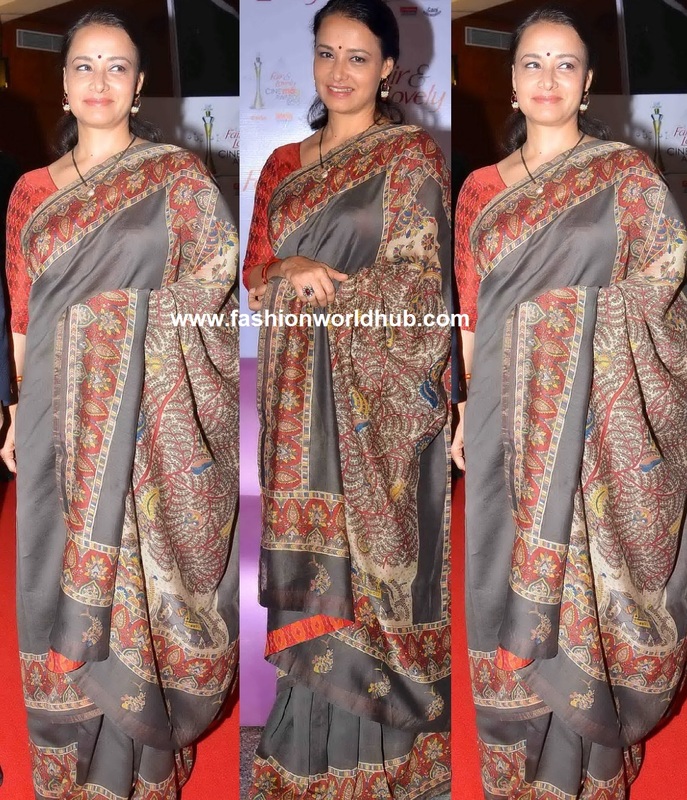 If we observe vidya balan she is a trend setter how to style in Kalamkari sarees. Vidya balan in beautiful kanjeevaram kalamkari saree paired with contrast blouse and she completed her traditional look with perfect traditional jumkhas and ear rings. We love the way vidhya balan carries. 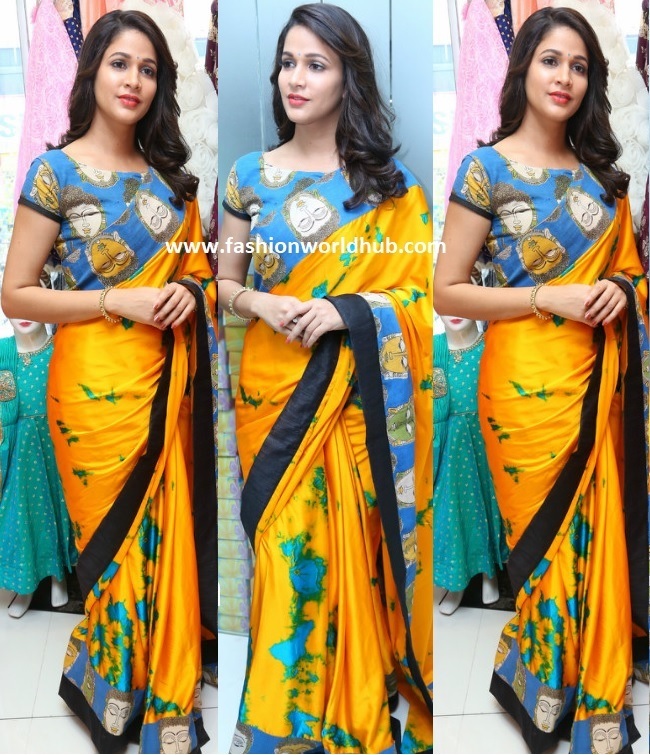 Lavanya Tripathi looked absolutely stunning in yellow shibori saree that has with bhudha print kalamakari patch border paired with contrast kalamakari blouse .Soft curl hair pink lips complemented her look. She has skipped the neck piece and completed her look with traditional gold bangles and ear rings! Loved the unique style of shobori and kalamkari combination! Keerti Suresh carried the blue and beige Kalamkari saree with a lot of grace. The way she teamed up the saree with a full sleeves blue blouse added a cherry on the cake. Side parted braid hair style with perfect silver kundan necklace paired with matching ear rings completed her look. Shilpa Reddy the well-known fashion designer and socialite added an indo-western touch to the traditional saree as she teamed it up with a halter neck blouse and a belt. The modern jewelry added a twist to her usual looks. Khushboo Sunder carried a white saree with a Kalamkari border and paired it with a heavy black blouse and long jhumkas to complete her looks. I just love her dressing, a perfect combination of tradition and poise. One who want to look simple should follow the style of Amala akkineni . 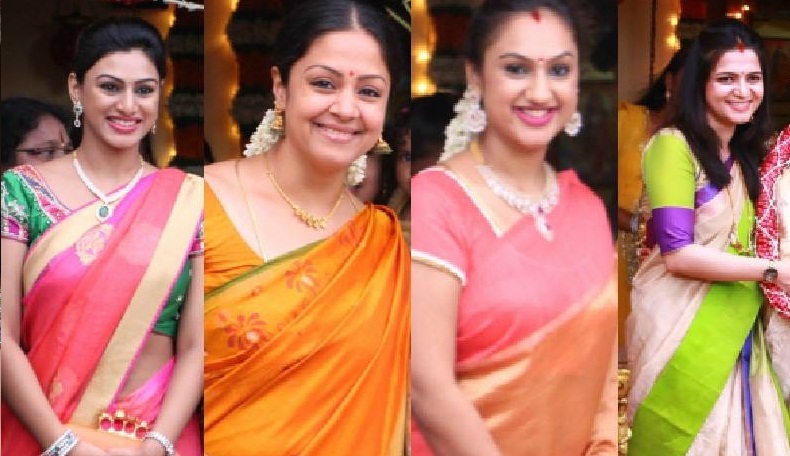 Amala is one of the actress who love and wear elegant handloom sarees . A lovely grey plain saree that has contrast red kalamakari print on border paired with contrast red elbow length sleeve blouse. With simple ear rings and black beads she completed her look with minimal makeup!! Kalamkari prints look extremely ravishing, if carried with confidence and teamed right. It suits everyone irrespective of the age, color, and complexion. So start experimenting with the prints to add galore to your wardrobe.